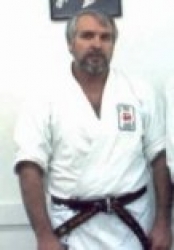 The Mississippi Karate Association was founded in 1977 by David Mabry and presently has a membership of over 200. The Board of Directors, President, Vice President, Treasurer and Secretary govern the MKA. There are also Associate Board Members. 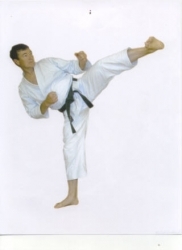 All of the individuals serving are experienced karateka with extensive backgrounds in both competition and the instruction of the Martial Arts. The MKA operates under the austerity of rules and regulations that ensure every competitor an opportunity to enjoy fair competition with strict rules prohibiting excessive contact. There are six (6) "A-Rated" sanctioned tournaments held each year with 100 divisions ranging from Mini-Tots, ages 4-5, to the adult men and women black belt divisions. 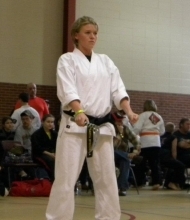 Tournaments are open to all styles and competition includes kata, kumite and weapons. Every competitor who is a member of our association accumulates points for First through Fourth place finishes in each of the sanctioned tournaments throughout the year. The competitor who accumulates the most points is his/her division (and has competed in a minimum of 4 tournaments) earns the State Champion Title in each of the 100 divisions. An Awards Banquet is held at the end of the tournament year with each State Champion receiving recognition for their accomplishments along with a State Championship special award and/or plaque. There are also special awards presented during the banquet along with inductees into the Mississippi Black Belt Hall of Fame.